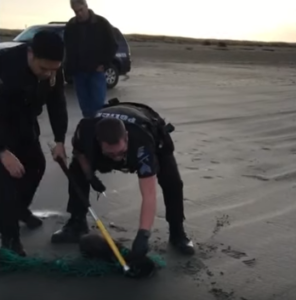 Young Seal Was Hopelessly Tangled In Plastic Until Brave Cops Step In. 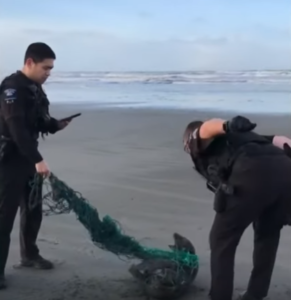 Sergeant Kyle Watson has seen his fair share of distressing situations in the 14 years he’s worked for the Ocean Shores Police Department in Washington, but none quite like the call he responded to on January 7. 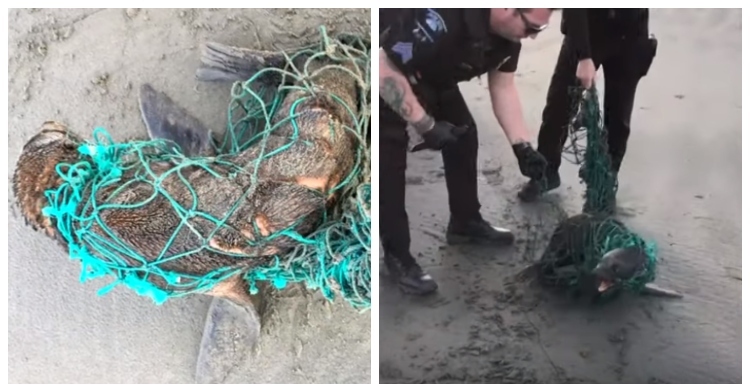 A beachgoer had been strolling along the shore that morning when they came across a heartbreaking sight: a young seal hopelessly tangled in a segment of plastic netting. The poor thing was terrified and struggling to break free, trapping itself further in the process. Watson and his partner, Officer Chris Elia, were in for a big challenge. 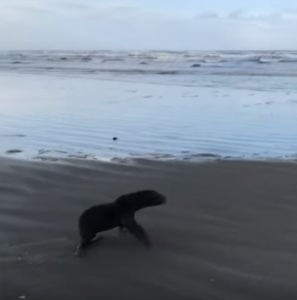 Watson’s not trained to handle a wild seal and the frightened animal was lashing out at anyone who got too close. Still, the officers knew they were the creature’s only chance of surviving and jumped into action. Washington resident Steven Hill filmed as the kind officers carefully started freeing the feisty critter. Elia holds the tail end up as Watson carefully works at the netting with a knife. As for the seal, well, it wasn’t very pleased. “No. You’re not gonna bite me, you little sucker,” Watson admonishes as the seal lunges toward him. 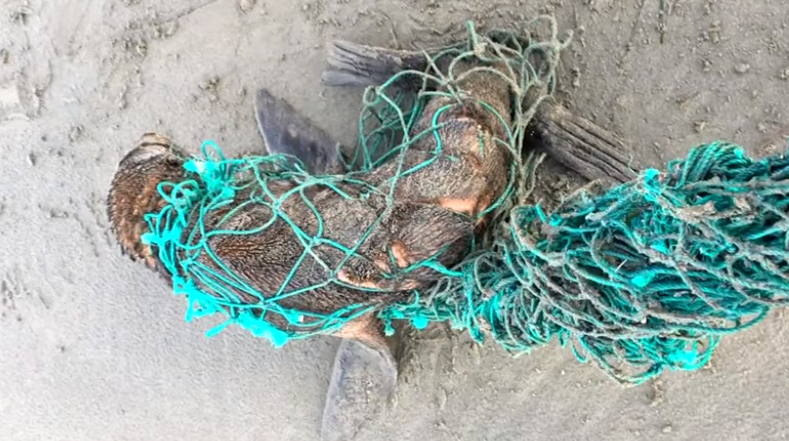 Bit by bit, Watson and Elia cut all the netting away from the seal’s body. Now comes the hard part… removing the portion wrapped around the animal’s neck without getting bitten. But Watson isn’t fazed and grabs a handy animal catch pole from his squad car. Elia holds the seal steady on the ground as Watson rips away the last of its makeshift prison. 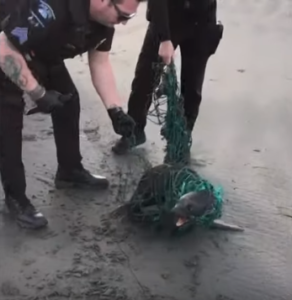 The seal is undoubtedly exhausted after its ordeal, but it’s so clearly happy to finally be free. The little cutie practically bounces its way back into the water! Watch the heartwarming rescue unfold below, and share to help spread thanks to these officers for saving a life.